The Four Best Fall Soups – You Need To Try Them All! Tis the season for healthy, hearty and warm fall soups. I will enjoy my Sundays preparing delicious soups to savor throughout the week by the ones I love. These are a few of my favorites! Add to a slow cooker, chicken (un-cut), diced carrots, onion, celery, and garlic. Drizzle olive oil over top then add in chicken broth, water, thyme, rosemary, celery, bay leaves and season with salt and pepper to taste. Cover and cook on low heat 6 – 7 hours. Remove cooked chicken and allow to rest 10 minutes, then dice into bite size pieces. Meanwhile, add gluten-free noodles and parsley to slow cooker. Increase temperature to high, cover and cook 10 minutes longer (or until noodles are tender). Stir in lemon juice and toss in cooked, diced chicken. Serve warm with gluten-free Schar table crackers or top with Parmesan cheese if desired. Preheat oven to 400 degrees Fahrenheit. Slice the acorn squash in half (lengthwise) and remove the seeds and guts–place cut side up on a large baking sheet, drizzle with 1-2 tablespoons of olive oil and season with salt and pepper. Slice the sweet potatoes in half lengthwise, drizzle and rub the cut side with olive oil and season with salt and pepper. Place cut side down on the baking sheet along with the acorn squash. Roast for 45 minutes to an hour, or until both the potato and acorn squash are tender. Remove from oven and when cool enough to handle, remove the squash from the skin and set aside in a large bowl. Discard the skin. Meanwhile, heat the remaining tablespoon of olive oil in medium-sized soup pot. Add the onion and sauté over low heat until soft and completely translucent. Add the ground ginger and garam masala and cook for an extra minute or two, stirring constantly. Add the vegetable broth, roasted squash, and sweet potato. Bring to low simmer, cover, and cook for an extra for 10-15 minutes. Puree in a blender and return to heat. Add the coconut milk and stir until well combined. Season with salt and pepper to taste . Serve hot and drizzle with a spoonful of coconut milk and touch of extra virgin olive oil. Heat olive oil in a large pot over medium heat. Add sausage and cook until slightly browned, tossing occasionally, about 5 minutes. Remove sausage, while leaving oil in pan, and drain sausage on a plate lined with paper towels and set aside. Return pot with oil to medium heat, add carrots, onion, and celery and sauté 3 minutes, add garlic and sauté 1 minute longer. Stir in chicken broth, water, parsley, rosemary, oregano and season with salt and pepper to taste. Bring to a boil over medium-high heat, and allow to gently boil 10 minutes. Add kale and allow to boil 10 minutes longer until kale and veggies are tender. Stir in cooked sausage and cannellini beans (you can add more broth at this point to thin if desired). Serve warm, top each serving with parmesan cheese. In a large saucepan, heat the olive oil. Add the chicken and onions. Cook for about 5 minutes then add garlic, cumin, coriander, oregano and cayenne pepper. Stir to blend well. Next add in the chilies. Finally, add the chicken broth and beans and bring to a boil. Reduce heat and simmer for 30 minutes. Now that you have all of this scrumptious soup – here’s a great way to enjoy it all season long. Freeze your soup in plastic solo cups! Ladle thoroughly cooled soup into cups and freeze. Once frozen, cut three slits in the rim of the cup and peel the cup away. Store individual servings in a gallon size freezer bag until you are ready to enjoy again. [Click to Tweet] I love this idea! What are your favorite fall soup recipes? 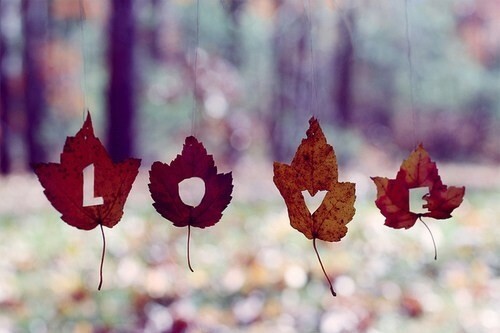 “Fall-ing in Love (with Fall).” Lor Out Loud. N.p., 21 Sept. 2013. Web. 28 Sept. 2015. “Roasted Acorn Squash and Sweet Potato Soup – Blogging Over Thyme.”Blogging Over Thyme RSS2. N.p., 29 Oct. 2013. Web. 17 Sept. 2015. “18 Food Hacks That Will Change The Way You Cook! | How Does She.”How Does She. N.p., 25 Jan. 2015. Web. 01 Oct. 2015. Previous PostDo You Really Need to Soak Your Nuts? Yes!Next PostFall, Football and Gluten Free Beer?